It’s simple: all the boutiques are right on Commercial Street and you will be spoiled with choices/embarreras (spelling), which will quench your thirst for shopping. 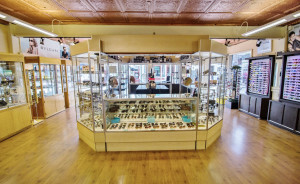 The boutique offers a great choice of cool glasses and sunglasses at competitive prices. From Vintage-inspired eyeglasses to designer sunglasses, with names like Ray-Ban, Oakley, Costa Del Mar, Maui Jim, and more, you have many choices of optical looks to suit your style and needs. 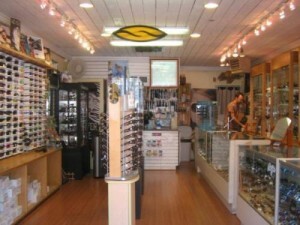 Selling the best of fashion and function, the shop offers only the hottest brand-name sunglasses and eyewear. From Designer names like Chanel, Dior,Gucci and Tom Ford, to Performance Eyewear from Randolph, Oakley, Maui Jim to, Everyday-Wear from Ray-Ban, Smith and Costa, they have much to choose from. They will also do small repairs on your eyewear right while you wait. 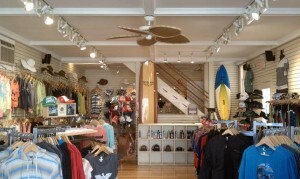 The only surf shop in town! Find everything you need: from bikes to clothing to surf accessories. Are you looking for a great surf board, body board, SUP, skate or a beach bike? Thanks to a very welcoming and professional staff, you will find what you exactly need. For your look, the store has racks galore of beach and resort wear including bathing suits, cover-ups, dresses, shorts, hoodies and more by Volcom, Element, Billabong, Roxy, etc. Board Stiff has also the best range of beach footwear we’ve found, with textile-diverse slip-ons from Sanuk, Olukai, Toms, and Reef. Lastly, the shop has an SUP rental program by the day or week. You can also rent a boogie board. 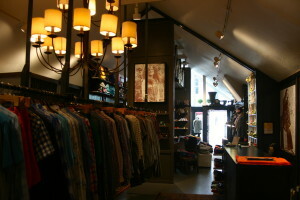 A boutique with high quality, unique products and an atmosphere that always welcomes you with a smile. A place to check out! A store for men; some clothes are even fabricated in the boutique. Owner Tim Convery is known for his iconic Provincetown-inspired duct tape designs on his tanks, shirts, sweatshirts, and totes. Make sure to stop by before your trip home! Several of his tees raise money for nonprofit organizations. Globe trotters and fashion adventurers, you have arrived, Item proposes a perfect casual style for men. 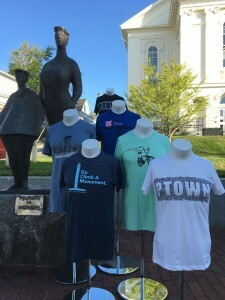 Eclectic and different stuff for women and men, a definition of Provincetown way of life. 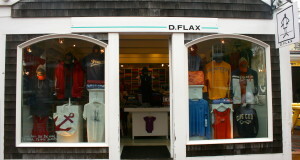 Clothing store with original Provincetown logos. 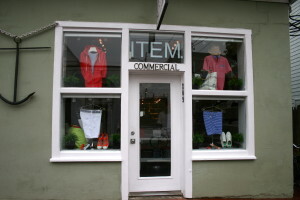 The store for sportswear in Provincetown – bathing suits, professional basketball shoes, the list goes on! 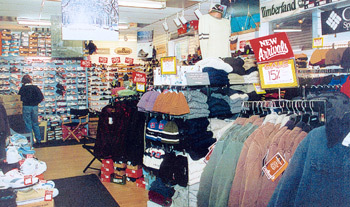 A spacious store offering a range of cool and colorful clothing. Great brands as well. A great place to find nice clothes. 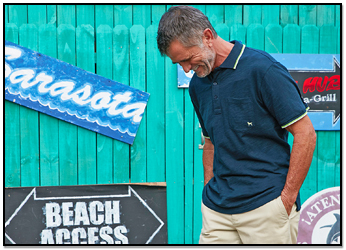 Featuring sportswear with the Cape Cod logo. 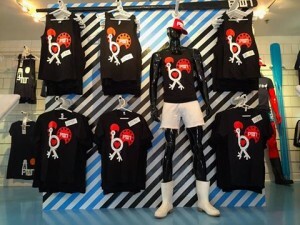 You must check out the famous black dog, a simple but great black dog logo originating from Martha’s Vineyard. 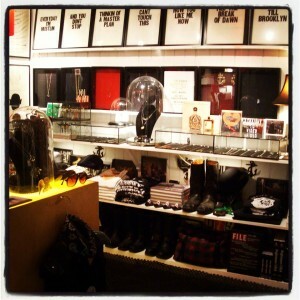 A fun leather accessories store for adults and especially the gay community. 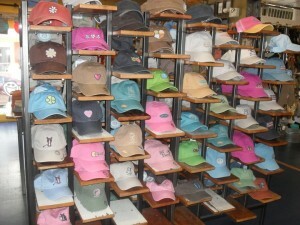 A hat shop with a variety of styles to choose from. 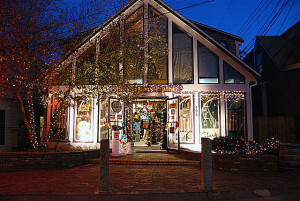 One of Provincetown’s newest shops featuring unique designs to remember your holiday. Owner Paul Nesbit designs the shirts himself. 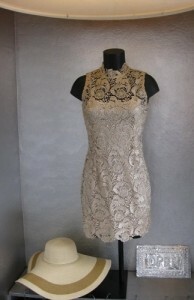 This seasonal shop features a mixture of private labels and upcycled, one-of-a-kind vintage clothing. It’s located in a tiny, cozy basement space – don’t miss it on your way into downtown!